Winner of the 2010 Naomi Long Madgett Poetry Award, Chronicles of the Pig & Other Delusions blends the historical, mystical and the pshycological into a unique work of poetic art. Bynum, a professional psychologist and diplomate in clinical psychology of the American Psychological Association, combines his psychological training with his poetic artistry to produce nusual, often surprising, and sometimes playful results. This collection is divided into four sections. In the first section, the title poem follows Conchis, a pig, as he relates his birth, life, and death and their significance. The character is based on Maurice Conchis, who appears as a psychiatrist in John Fowles' novel The Magus. The following three sections present poetic meditations on various subjects including love, death, current events, "the holy feminine in everyone," and creative writing. Edward Bruce Bynum is the author of two volumes of poetry, The Dreaming Skull and Godzilla: His Life and Vision, as well as five texts in psychology/psychiatry, The Family Unconscious: Families and the Interpretation of Dreams; The Roots of Transcendence; The African Unconscious: Roots of Ancient Mysticism and Modern Psychology; and the forthcoming UREAUS: The Science and Mystery of the Shining Light Within Us. 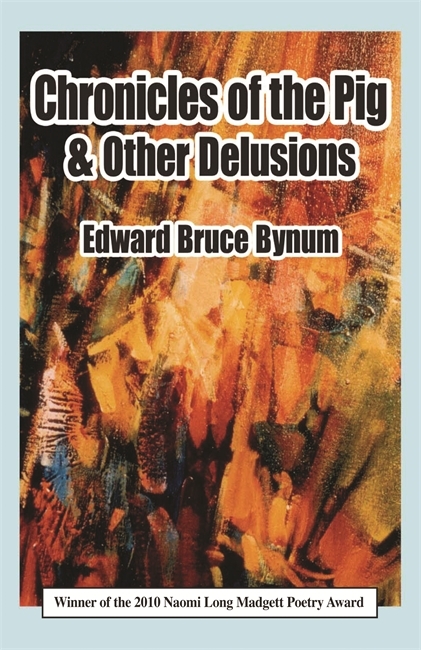 If ever a poet needs to be read, studied, appreciated and shared, it is Edward Bruce Bynum. He is of and ahead of his time. He has found his own highly distinctive and heart-stopping territory. Quiet, thoughtful, a questioner of multiple worlds not ready for the easy answers. . . . A word-worker seeking truth beyond the common. . . ."